There’s no easy way to riches when it comes to small-scale gold mining, that much is certain. Sure, some individual, “strike-it-rich” finds still occur but these events are the exception rather than the rule and this really hasn’t changed over time. 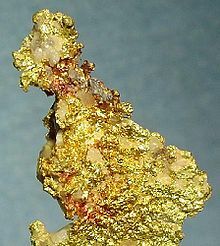 Again, one of the best sources to search for evidence of this fact is the history of the California Gold Rush . Although some of the more adept or experienced Argonauts were working very rich ground indeed, most miners of the period from 1849-1855 didn’t even come close to achieving their fervid dreams of golden wealth. James De Pue was one of the thousands of young men who abruptly left their homes and loved ones to head for the California goldfields and follow his own personal vision of the golden dream. Along with a close-knit group of mining “pards,” De Pue ended up working placers at Hangtown (now the city of Placerville, California). De Pue: “I am now in Hangtown mining for gold. We are doing very well for this time of the season even though we have been here but a week. The winter here does not seem like winter, but more like April. It freezes very little every night and it is warm through the day." As it turns out, De Pue and his friends were digging for placer gold in the earth and gravel streets of Hangtown! It seems that Hangtown (like many other California mining boom towns ) was situated above old auriferous river channels. Remember, gold at that time in the California mines typically sold for $16.00 per troy ounce . If my math is correct, this means that the average take in placer gold for De Pue and his friends was about 1.8 troy ounces per day, or $28.80, based on the amounts listed in the previous paragraph. A 1.8 troy ounce a day average would be an excellent haul for a small-scale or recreational miner today, but back then that amount split among De Pue and his partners would not have gone very far. This fact becomes even more amplified when you consider the extremely high prices charged by merchants for food, gear, and supplies in the California goldfields. In the final analysis, I suspect De Pue and his “pards” were working their rear ends off just to be able to put food in their stomachs. In my next post De Pue provides additional insights into the harsh reality of mining. So stay tuned. Once again, I urge you to maintain the proper perspective and always remember that we do what we do because it's in our blood, not because of "will-o-the-wisp" dreams of great wealth and riches . But if you are one of the lucky ones that does hit the "big one," congratulations and more power to you my friend! If you liked this post, you may want to read: “A Tough Way to Get Rich (Part 1)"